Before you know it your kids is grown out of their car seat. 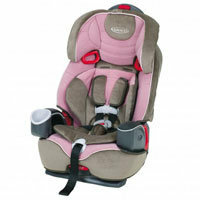 With our easy online recycling 4 step program you can recycle your car seat in just a few steps. We also recycle strollers, swings and highchairs. Don’t let them collect dust or end up in the landfills.